When planning an exhibition, especially one with a largely visual range of exhibits, it's important to ensure that all demographics of society (including blind or partially sighted people) are catered for, so everyone can get the most out of the event. There are many ways that organisations can ensure they have accessible exhibitions. Professor Anne Chick (Professor of Design at the University of Lincoln) noted that organisers who ignore accessibility may miss out on a large demographic of potential visitors. "People over the age of 65 years are the fastest growing group visiting museums and galleries in the UK, so it is important these establishments address their baseline practicalities of access. Research also tells us that the accessible exhibitions and the assistance of staff are seen as the most important factors to blind or partially sighted visitors." Professor Chick collaborated with Bryony Windsor (Head of Exhibitions at the National Centre of Craft & Design) to design and curate a non-permanent exhibition titled ‘3D Printing: The Good, The Bad, and The Beautiful’ that was intellectually accessible, with blind and partially sighted visitors at its heart. They worked with RNIB Midlands and consultant Zoe Partington to build upon other cultural organisations’ accessibility guidelines, such as the Smithsonian and Victoria & Albert Museums. "A key aim of this research project was capacity building through the visitors’ ability to influence the redesign of elements of the exhibition over time. To assist this process the NCCD staff undertook a training course on how to engage and host visitors with sight loss in the venue. The exhibits were selected based on the ‘narrative’ of the exhibition, and whether they could be handled or replicated. It was also important to demonstrate different materials and textures that are 3D printed. A priority for Professor Chick was the development of a design that clearly demonstrated this was a multi-sensory exhibition. This included ensuring visitors could easily get close to the exhibits and graphics to view them as well as handle and listen to audio descriptors. 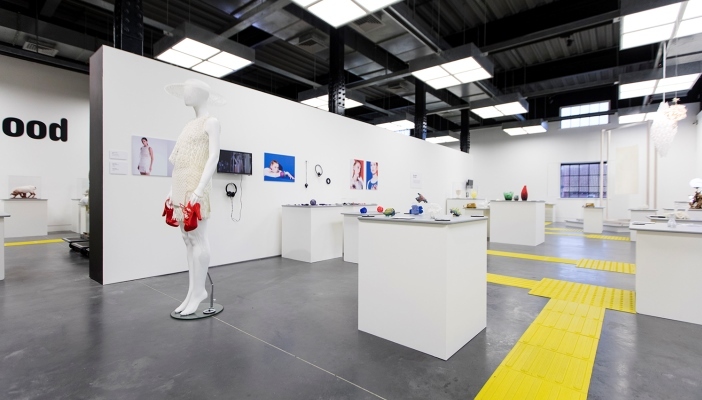 The exhibition theme of 3D printing provided numerous opportunities for taking a multi-sensory approach to explore how 3D printing has been adopted. How this technology is bringing about social, organisational, and economic shifts was interpreted for visitors through the selected exhibits, text panels, audio interpretations, public talks, and education programs. The exhibition opened on 27th January 2017 for three months. In respond to visitors’ feedback the participants are collaboratively designing improvements to the accessibility of the exhibition. There has been a significant increase in blind and partially sighted visitors, and an overall audience increase of 46%, equating to over 200 visitors a day." If you wish to attend the exhibition, it's running until 23 April. You can find more details in the Connect Events section. If you've been to an exhibition or attraction recently and think that their accessibility is not good enough, you may also want to share this with them to encourage and inspire them to make their exhibitions more accessible.